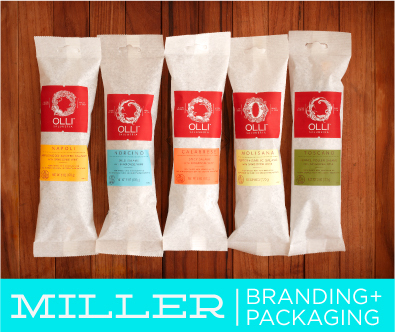 Here’s a look at Miller Creative’s brand-spanking-new business card design. They are printed on bend-proof 98pt gray coverboard recycled paper, printed letterpress in 2 colors and then rubber-stamping of tiny messages on the card's edges. See more.